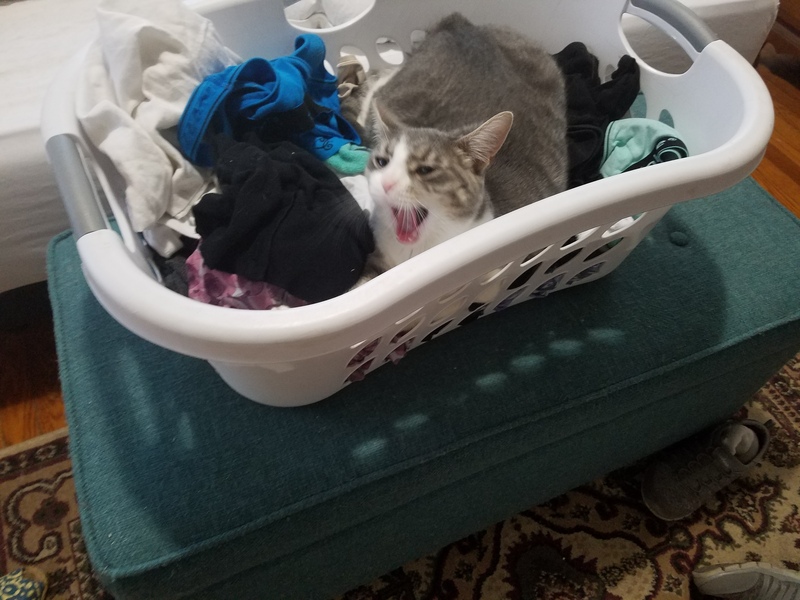 Last week, you told me that the basket of clean clothes is not a bed, Human Mommy. 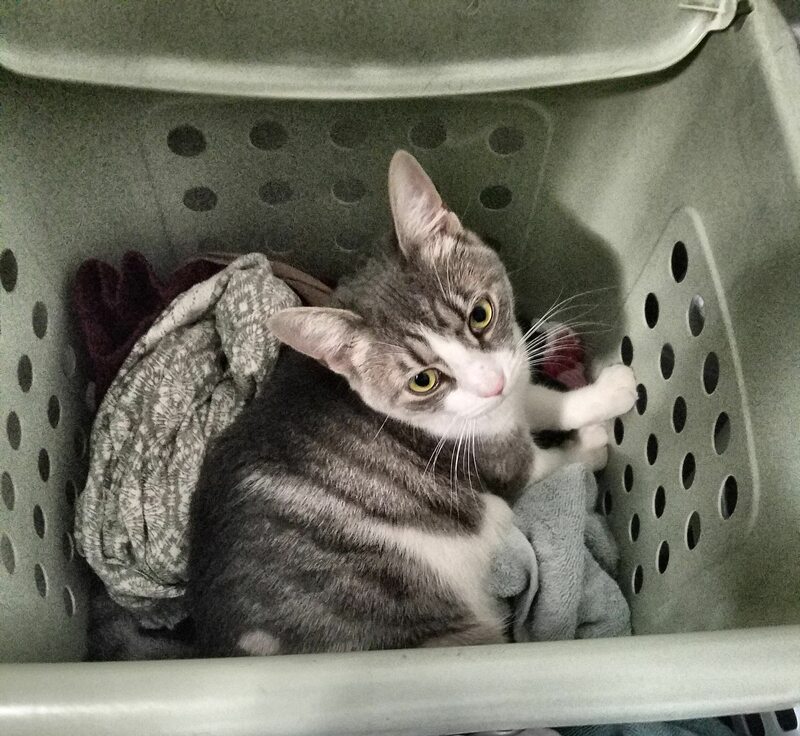 This week, you’re telling me that the hamper full of dirty laundry is not a bed either. 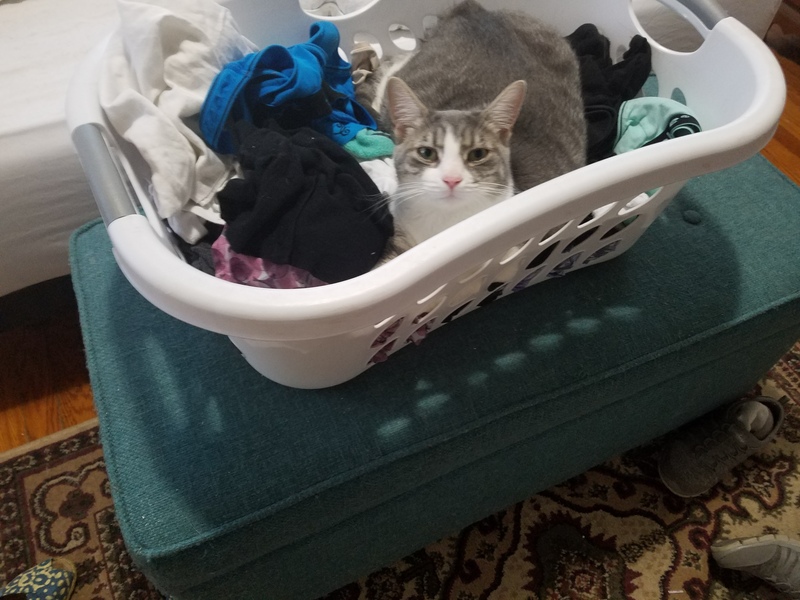 Where’s a Kitten supposed to catch a good snooze around here? 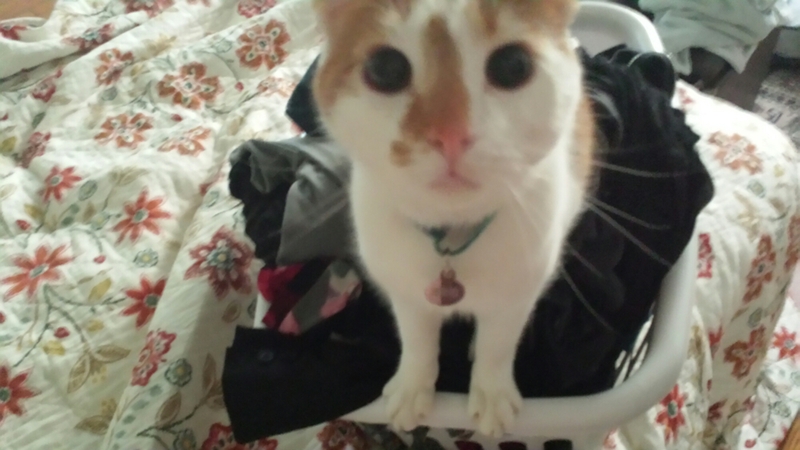 What do you mean this basket of clean laundry is not a bed, Human Mommy? It is quite lovely for a lie-down. 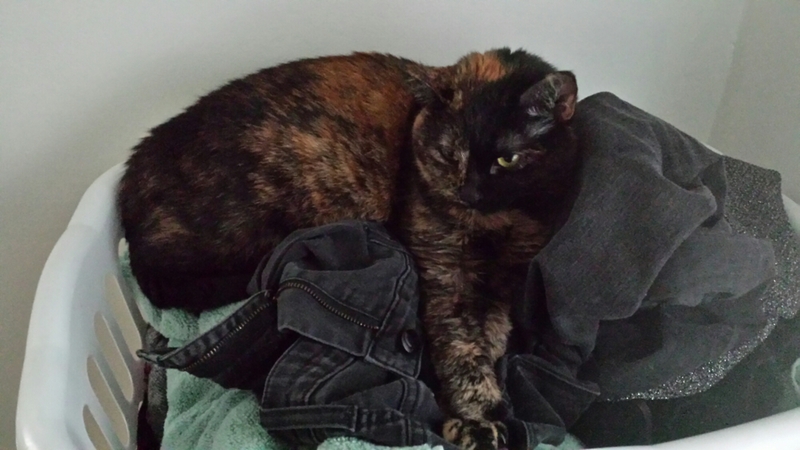 What’s that, Human Mommy, you want to know where the lint roller is? A navy blue dress is quite somber for a party, don’t you think? Don’t worry! I’ll spiff up your dress with a fine sheen of white and gold fur. 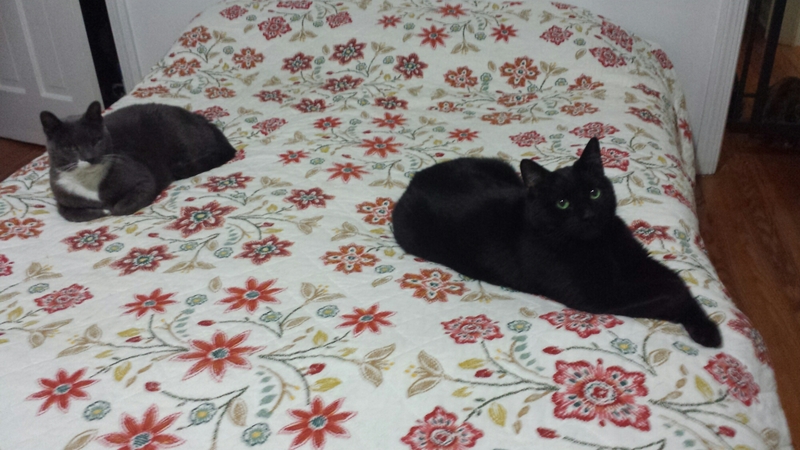 When your humans give you a new thing, like a nice flowered bedspread, show your approval by stretching out on it. Then start the hard work of shedding so that your new thing will match your old things. 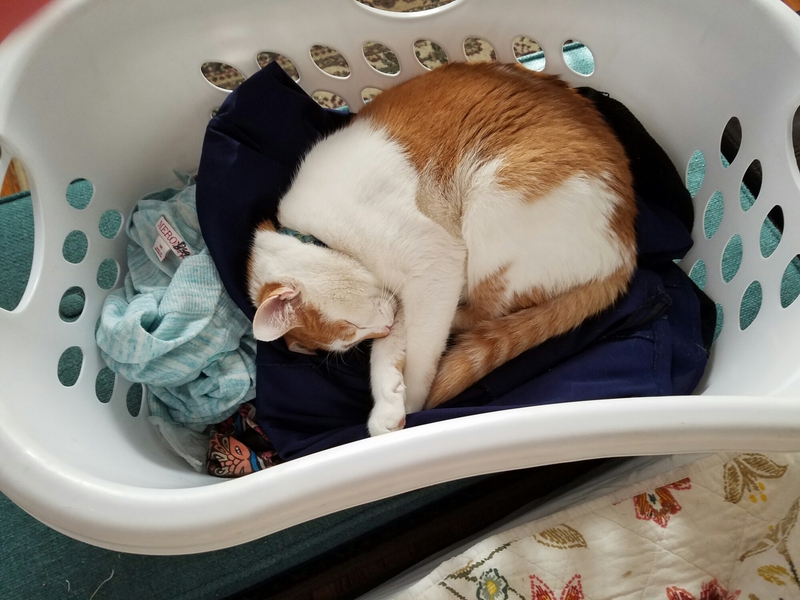 Your laundry is not really “done” until your cat sheds a film of fur on top of it. You’re welcome, humans.